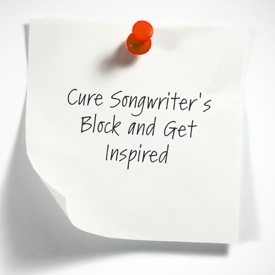 Got songwriter’s block? The internet may be the cause of a lot of distraction, but it can also offer a cure for a lot of things…including curing the inability to break through a rut. Arjun Basu’s Twitter feed: the man is a genius at succinctly fitting a short story into 140 characters or less. If you have a guitar at hand (regardless of whether you’re a guitarist or not), look up a guitar chord finder (like this one) and learn a new chord and incorporate it into a new song idea. Here’s 10 Creative Rules of Thumb — thanks to Bobby Owsinski at Music 3.0. The best way to get great ideas is to get lots of ideas and throw the bad ones away. Create ideas that are 15 minutes ahead of their time…not light years ahead. If at first you don’t succeed, take a break. 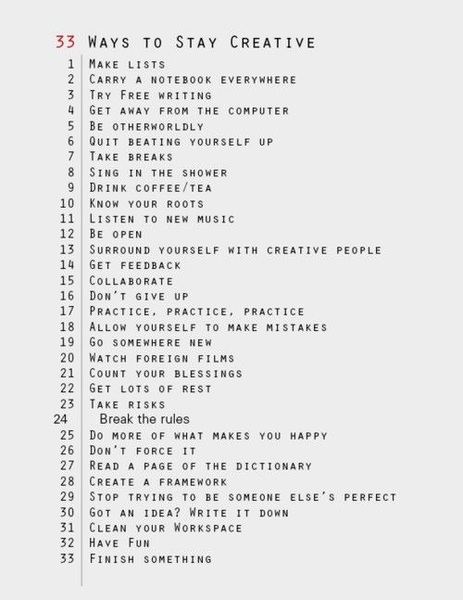 Write down your ideas before you forget them. If everyone says you are wrong, you’re one step ahead. If everyone laughs at you, you’re two steps ahead. Master the Art of Momentum, and discipline yourself to build it. More reasons to co-write, thanks to Songtrust. Google and search YouTube for interviews with artists and songwriters you like. Hearing insights into the way they work and put their music together can be a gold mine of kickstarting help. Songwriters on Process is a great site for that. Here’s Songtrust’s article on How To Write Better Lyrics. It has some more creative suggestions. Though written from a literary perspective, Aliventure’s Seven Habits of Serious Writers contains a lot of useful common-sense tips. In the same vein, here’s Seven Ways to Build Up Your Writing Confidence. Here’s MusicThinkTank’s Top Ten Rules for Better Songwriting. Here’s MusicMarketing.com’s 10 Tips to Conquer Writer’s Block. CDBaby’s Songwriting Tips from the Hitmakers, Part 1, Part 2, and Part 3. Discmaker’s 11 Tips to Help the Songwriter Get Unstuck. Bryan White’s 20 Songwriter Tips. Study what not to do: What are the Worst Lyrical Cliches All Songwriters Should Avoid? Well, there’s always musical dice. When all else fails: google for songwriting inspiration and you’ll find a host of sites with additional tips, such as SongwritingLab and others.